Kenny Rogers is a unique entertainer, as an American icon with a world-wide and very broad base of fans…Tim Beasley, also unique in his ability as a Kenny Rogers look alike sound alike impersonator shares a performance talent with him. That is, Tim is also able to croon a country ballad, or belt out a juke box rocker…at the drop of a Stetson hat! Being an accomplished national variety celebrity impersonator and vocalist himself, Tim feels that having Kenny Rogers and his many mega hits reflected in his tribute show is a most important offering. Any special event covering the wide spectrum of country and western or mainstream popular musical tastes would enjoy the flavorings of a Kenny Rogers tribute show, and Tim’s Kenny Rogers impersonation has been a crowd favorite for many gatherings. 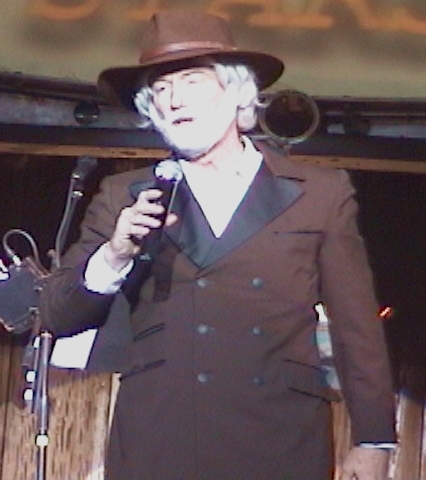 Tim’s Kenny Rogers tribute concerts include many of Kenny’s # 1 hits, and a popular theme for these appearances is as “The Gambler,” with Tim suited out in the fashion from the movie. It’s also a perfect theme for a fun casino night or fundraiser gala, and with Tim’s many years as a professional emcee, it’s a great package! Let Tim bring his star power Kenny Rogers impersonation to add that Nashville - Branson - Las Vegas glamour to your event …your guests will love it!